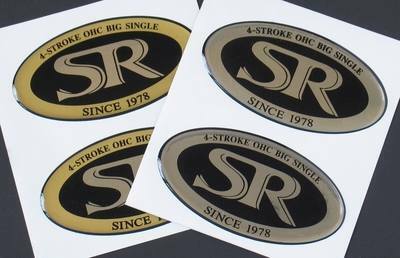 Pair of heavy 2mm thick gloss vinyl SR (Type 1) stickers. 100mm x 54mm. Available in gold or silver.